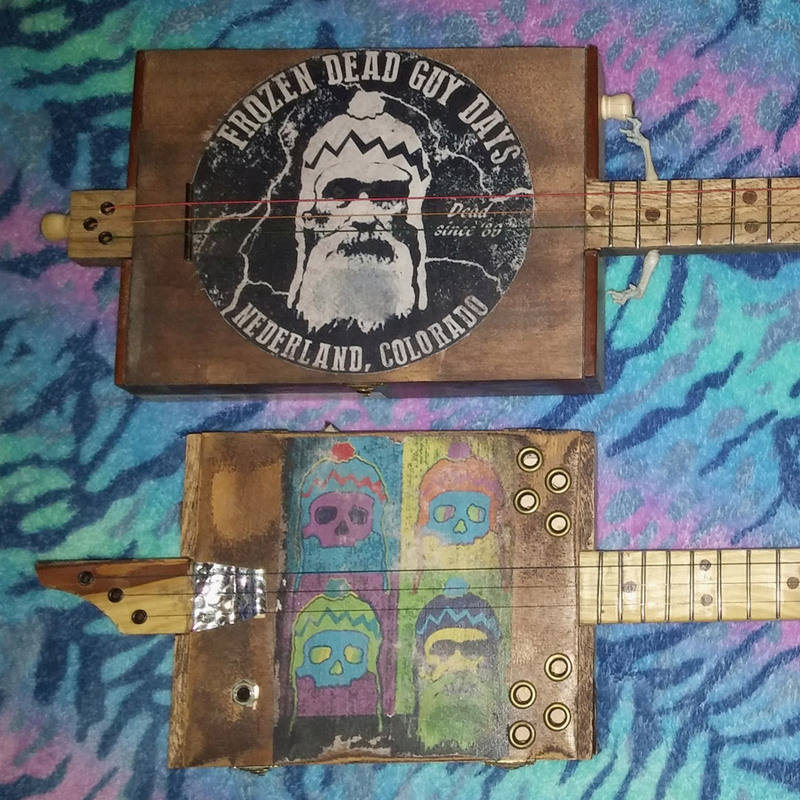 Both acoustic & electric cigar box guitars — each one is hand made and unique. Made with a solid oak neck and recycled Washburn gold tuning pegs. Every guitar has it own special features such as gold skull fret markers, antique key bridge or removable skull arms. We will call you after you order to discuss your custom, one-of-a kind guitar, and send you a picture and listing of its unique features. If you prefer a specific FDGD motif, please be sure to tell us that in your order notes.